Labour has published its long-awaited review into digital government, making a series of recommendations for shaping the future of policy-making which will feed into the party's planning for its 2015 general election manifesto. 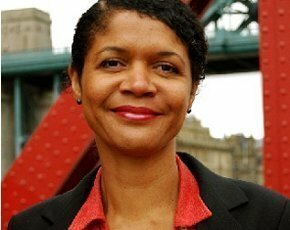 The Making Digital Government Work for Everyone report is an independent review, produced for the Labour party and commissioned by Chi Onwurah MP (pictured), Labour's shadow minister for digital government, cyber security and social enterprise. The report claims the current government treats the “digital world” separately from real life, when, “love it or loathe it technology shapes what we do and who we are as never before: from work and leisure to the most intimate moments in our lives”. The report focuses heavily on digital inclusion and the user, as well as the idea of devolving power to the citizen. The document touches on a multitude of topics, from open, shared and personal data to the digital skills gap and open digital architecture. It also makes 35 recommendations, some of which are detailed below (see Three highlights from the digital government review), which Onwurah said will be taken into consideration when creating Labour’s manifesto in the new year. Pointing to the report’s emphasis on digital inclusion, Onwurah said the current government had followed a “get online or get out” policy. Despite describing the Government Digital Service (GDS) as “a hugely experienced and talented group within the Cabinet Office” that the government is “lucky to have”, she said GDS had been led by ministers focused on high-quality services to be used by 80% of the population, rather than everyone. The report goes on to say that, despite GDS, the government has yet to “leap towards a genuine national transformation”. “There’s a social value contribution to society, as well as economic value,” Onwurah added, when talking about the cost savings that digital government offers. As part of the review, earlier this year suppliers, charities, individuals, social enterprises and unions were asked to share their top public sector technology priorities. Their thoughts were published to provide an insight into what suppliers – from giants such as Microsoft to small and medium-sized enterprises (SMEs) such as Skyscape – would like to see in the event of a Labour government next year. But the “big seven” IT suppliers were nowhere to be seen. HP, Capgemini, BT, Capita, Fujitsu, Atos, IBM and CSC were recently listed as the IT and telecoms suppliers that earn the most from government contracts per year. HP alone was cited as earning £1.7bn a year, according to the Whitehall Monitor, while Capgemini earned around £1bn between 2012 and 2013. The total revenue for the six IT suppliers (excluding BT, which is classed as telecoms) came to £4.6bn in 2012 and £4.2bn in 2013. Labour stated that some of its submissions were received under the request of confidentiality and that those requests have been respected so the details of any submissions from anonymous suppliers would remain under wraps. Meanwhile, a group of Labour digital activists, backed by shadow business secretary Chuka Umunna, have voiced requests for the Labour party to commit to a £10bn, five-year plan to make the UK the world’s leading digital economy and society by 2020. The Labour Digital group, which describes itself as “a grassroots network of over 300 digital professionals”, launched a report at the party’s annual conference in Manchester that it hopes will provide input to future Labour policy. The study contained 82 suggestions for new policies to form part of a national programme for the UK. This would be led by a proposed digital board, bringing together ministers and digital experts who would report to the prime minister. Proposals include items such as broadband to be treated as a national utility and a programme to equip the adult population of the UK with basic online skills by 2020. The review called for every department to have digital secretaries of state leading their own areas, while the Cabinet Office should retain the leadership. The report also called for a move away from the current government’s narrow focus on “digital by default”. It said the government has failed to effectively address the issue of digital inclusion, and failed to understand the needs of the 21% of the UK population who don’t have basic online access and skills. “From planning applications to hospital waiting times to local policing data to council agendas, information needs not only to be available online to all, but available with a clarity and accessibility that make it as universal as email or text messaging,” said the report. It points out the risks when sharing personal data, touching on the NHS Care.data debacle. It also informs readers that the idea of anonymising data so no one can be identified is “an oversimplification”. “Despite the use of the best algorithms and the best obfuscation techniques, it is not possible to guarantee that no one can be identified within anonymised data,” it said. Additionally, the review noted that government should urgently deliver on the identity assurance programme and investigate the reason for ongoing delays. The review also recommended that costs can be reduced from creating an open digital architecture in which government should open up application programming interfaces (APIs) and move towards a common platform with reusable components. “Given the inadequacy of the current approach to systems architecture, it is little wonder that so much open public data varies in format – making it needlessly difficult to compare and combine – or that geospatial data, which number among the most important of all public datasets, is not available as open data at all,” said the report.